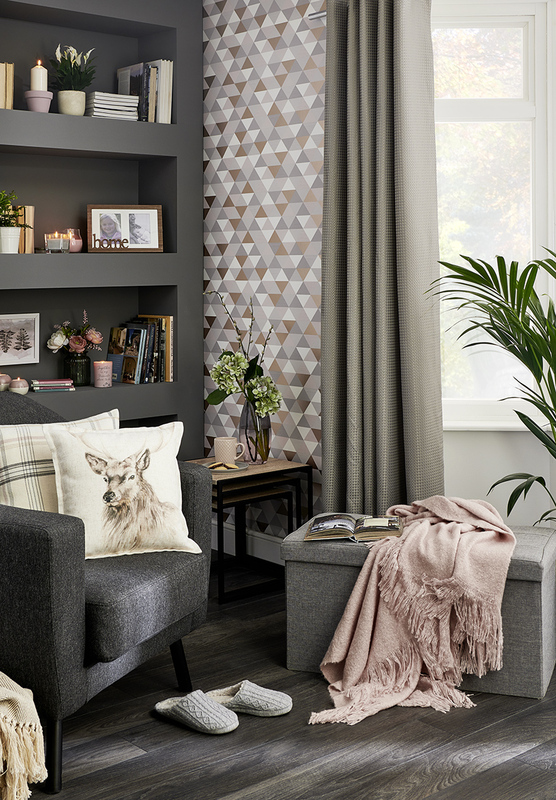 Every season brings new style, and as we transition into autumn it’s time to get cosy, snuggle in and enjoy the special moments with our new home collections. You don’t have to revamp the whole home to make a big change. Little touches can make all the difference. So create that autumn/winter vibe with statement cushions, warm throws and flickering candles. This trend is all about combining calming neutrals with soft greys and touches of blush pink for a relaxed feel. The Treasured collection features welcoming winter animals and delicate floral designs. 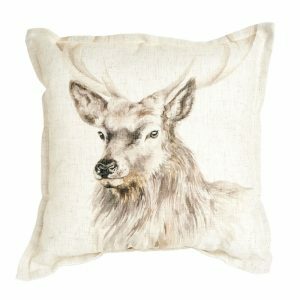 Add a homely touch to your living room with our beautiful stag cushion. 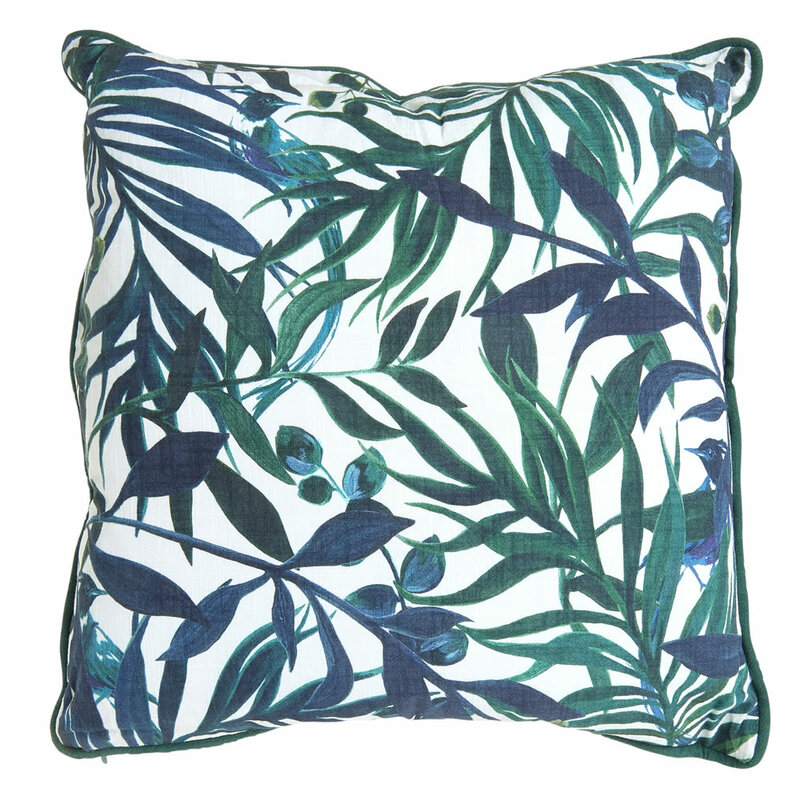 Created from an original watercolour painting – which has been designed exclusively for wilko, this cushion adds a contemporary yet rural feel to your space. Whether positioned on your sofa or stand-alone chair, it helps to effortlessly transform your room from summer to winter. 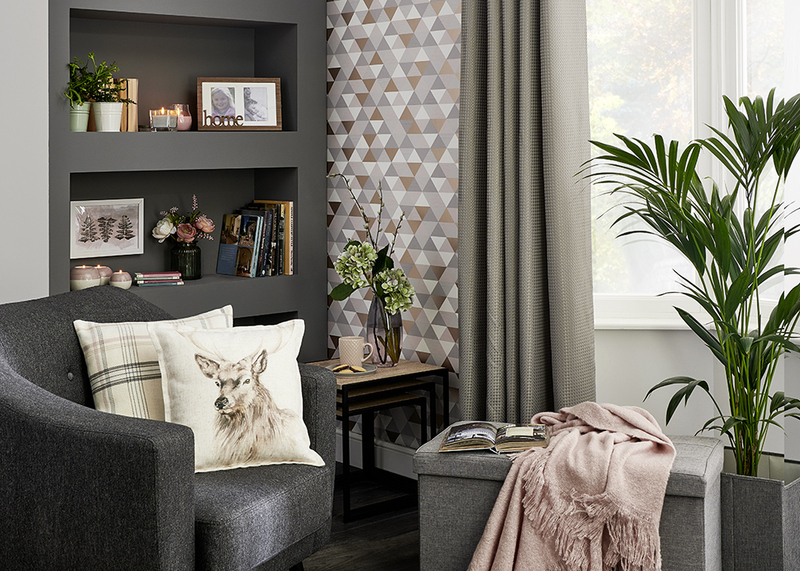 Bring the trend together with our co-co-ordinating stag canvas to create a real focal point in your living room. Candles are perfect for replacing the natural light lost with the arrival of autumn. They create a warm glow during the evenings and can be mixed and matched for a stylish and snug feel. 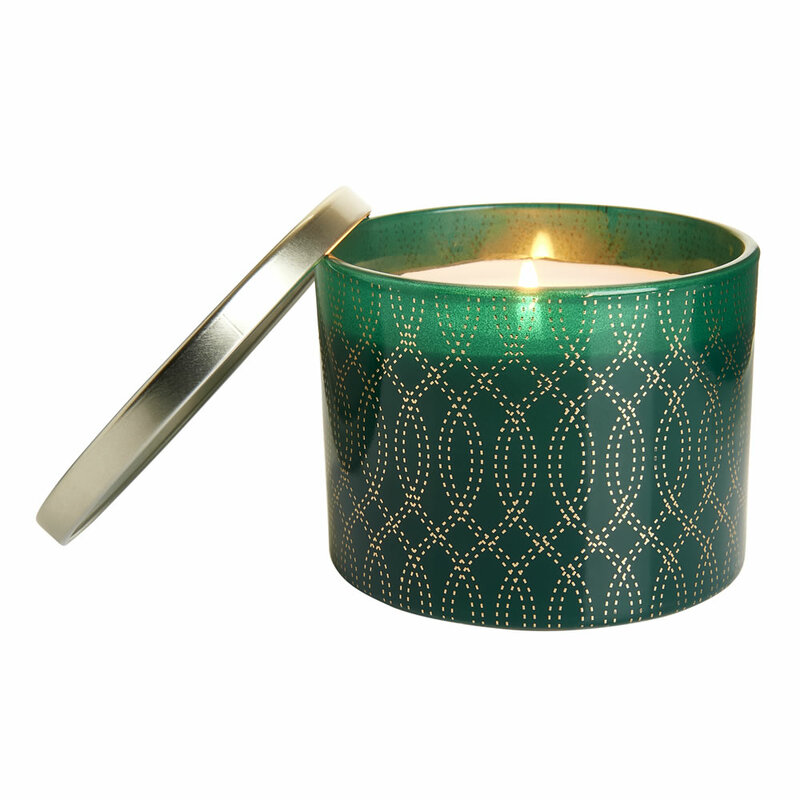 Within our Treasured collection, you’ll find a range of candles to suit all tastes. 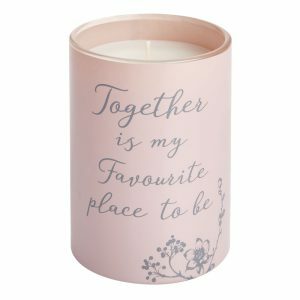 This frosted glass pink candle features the words ‘together is my favourite place to be’ and has a gorgeous ginger and mandarin scent. For the ultimate cosy feel, add a knitted throw to your bed or sofa. Our pink loose weave throw perfectly complements the blush shades and calming greys in our Treasured collection. Measuring 125 x 150cm, it’s the perfect size for snuggling up to. Pair with neutral grey fabrics and cushions to complete the look. The Fusion collection works hard to create a fine balance between function and style. It’s all about mixing bold accent colours with Eastern-inspired prints for a setting as vibrant as family life. 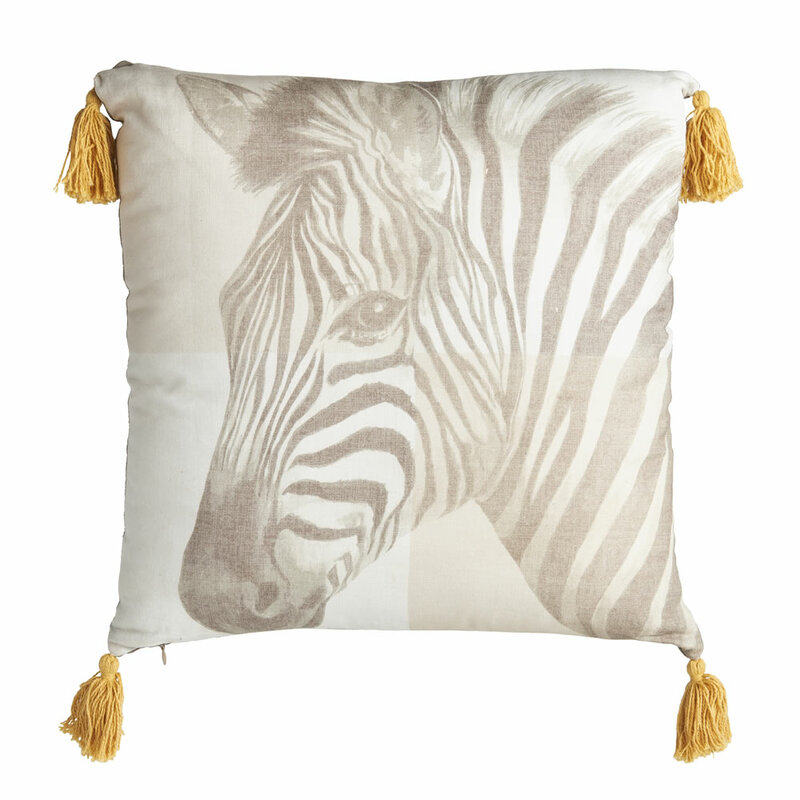 Style up your sofa with our unique zebra cushion. This fun, statement piece features a large muted zebra print on the front and bright yellow tassels at each corner. If you’re looking for a simple way to bring exotic prints into your living room, this quirky cushion makes a great addition and pairs perfectly with our ochre yellow home accessories in this collection. Pretty up the fireplace with our Eastern-inspired small lantern. 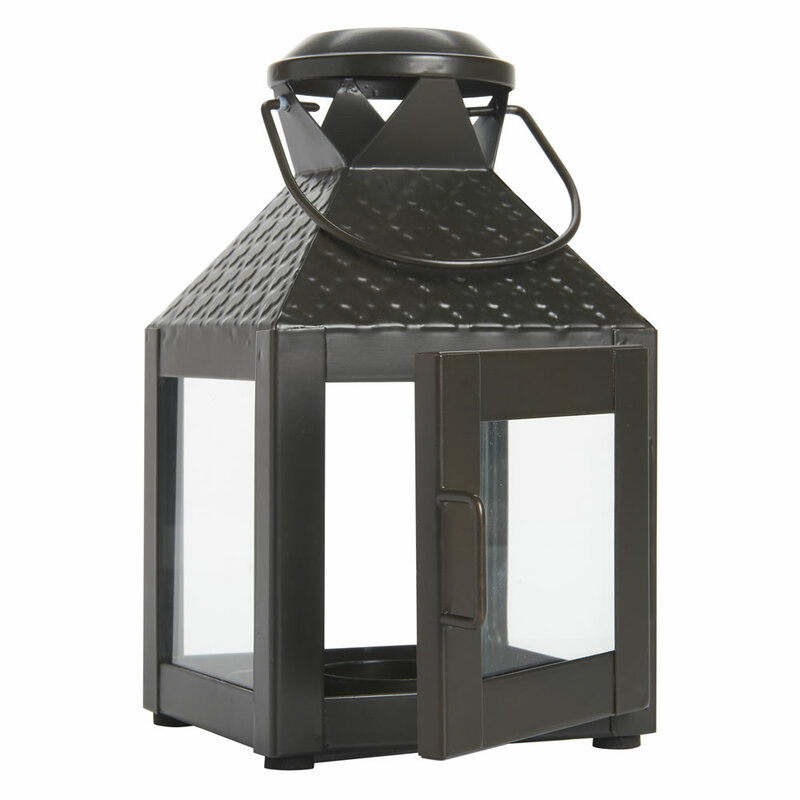 This lantern comes in stylish black and features a small handle which is perfect for moving. Bright the lantern to life with tealights or battery operated fairy lights. Contrasting home accessories in navy blues and warming reds help to create the perfect relaxed atmosphere. 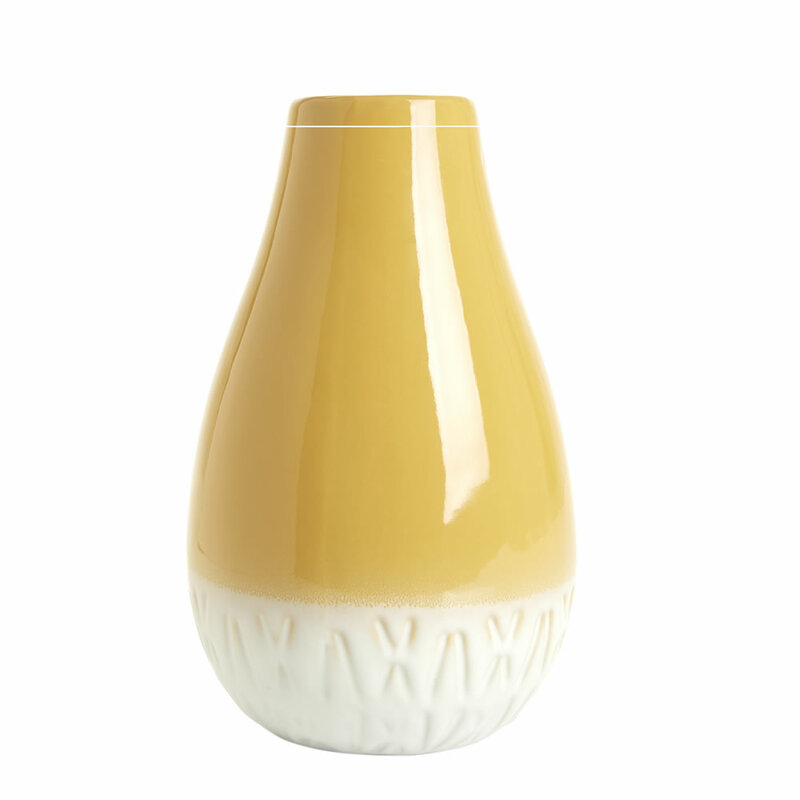 Make a statement with our ochre bulbous vase. It looks fabulous as a stand-along piece or with a fresh bunch of your favourite flowers. Perfect for giving your side table, the bright yellow colour and debossed base is great for updating a modern living space. Get the complete look with our Moroccan tile wallpaper – providing the backdrop to your Eastern-inspired oasis. Embrace the exotic with our Hypernatural collection. 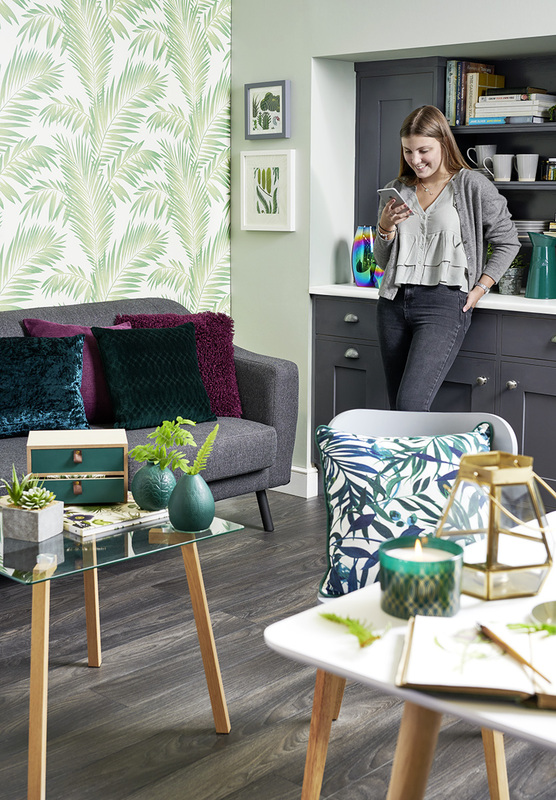 A rich colour palette of jungle greens mixed with dark saturated blues and deep plums help to give your home a vibrant, sumptuous feel over the colder months. Bring the outside in with our leaves and birds cushion. 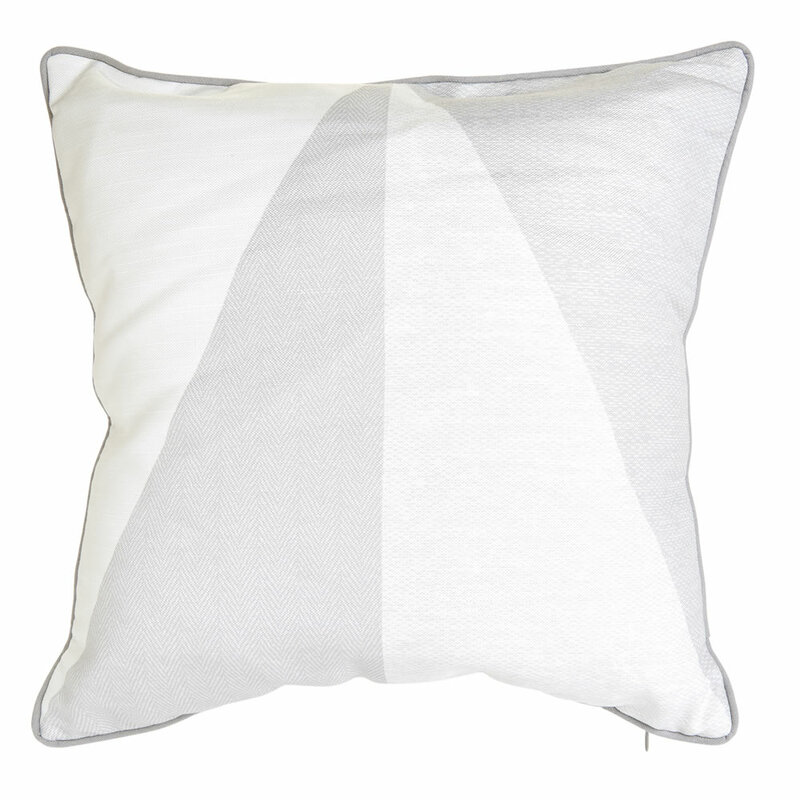 Made from 100% cotton and inspired by nature, this luxurious cushion is sure to brighten up your surroundings. 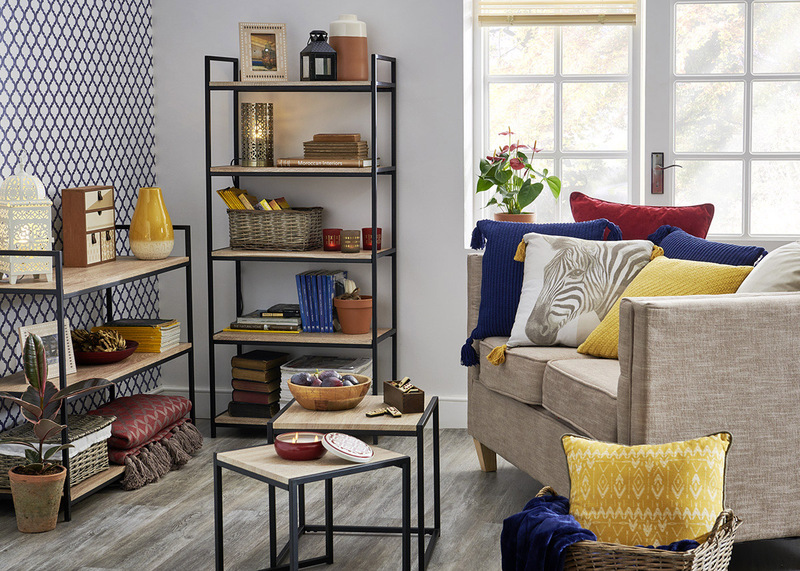 Top tip: Layer up soft cushions in different textures to create a comfy and stylish spot to unwind. Sit back and relax with the comforting scent of almond and cashmere. This gold and green candle. 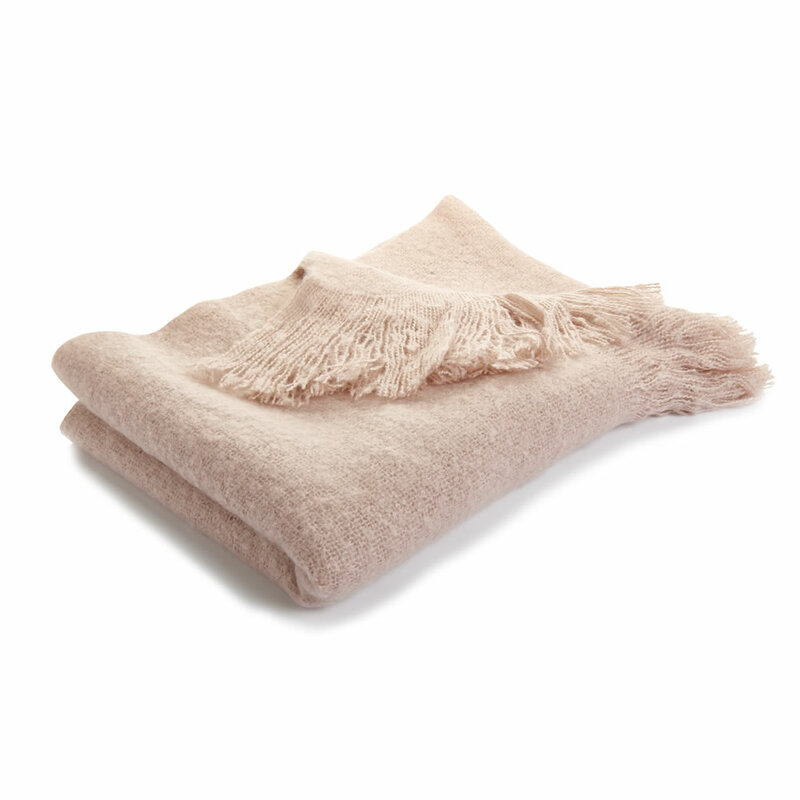 The almond and cashmere is perfect for nights in or when guests come over during the festive period. Keep bits and bobs tidy with our letter drawers. 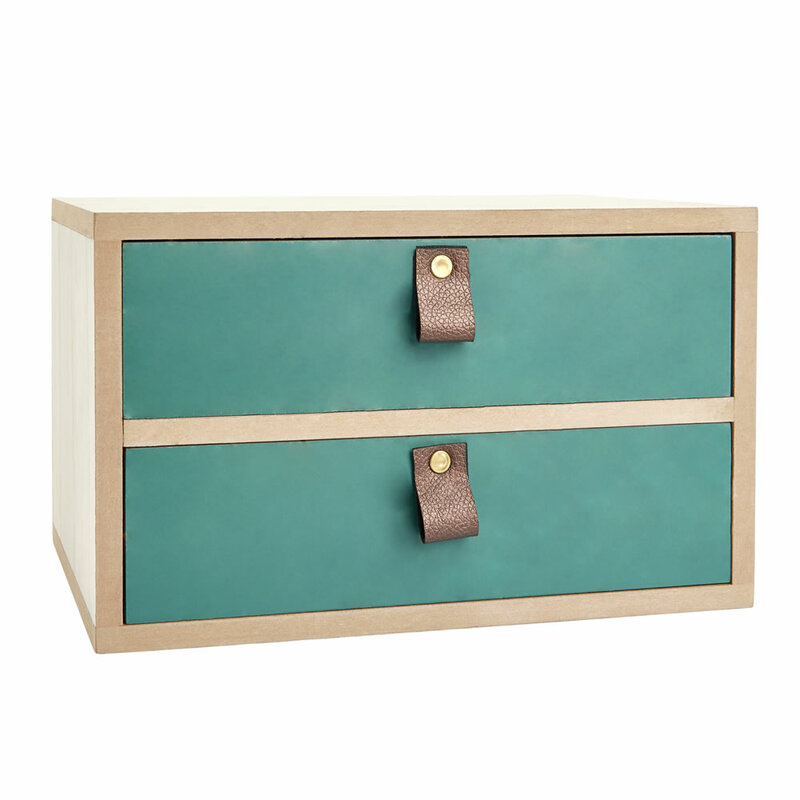 The stylish design features two green drawers with letter-effect handle pulls. The drawers are perfect for styling up your bedroom or office and are great for filing away letters or important items. Showcase your creativity in all its glory with the Expression collection. 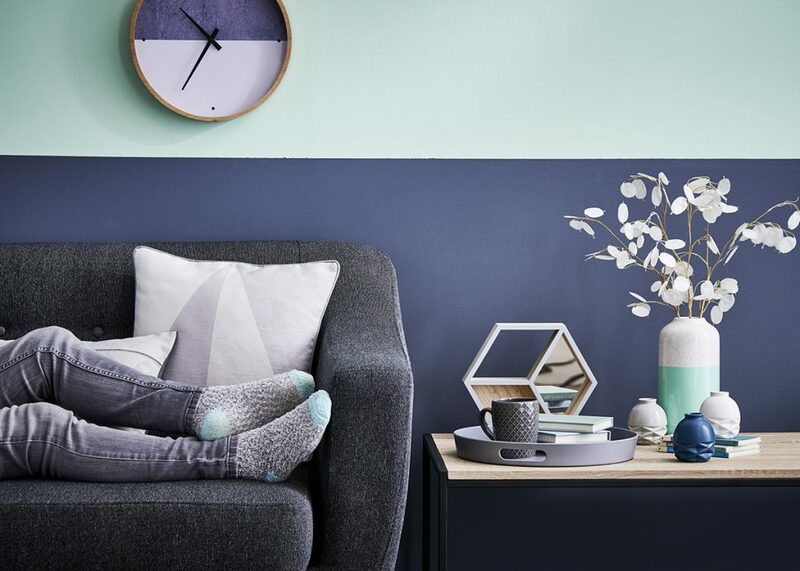 This trend is all about letting go and showing off your unfiltered personality with Scandi-inspired and geometric designs. 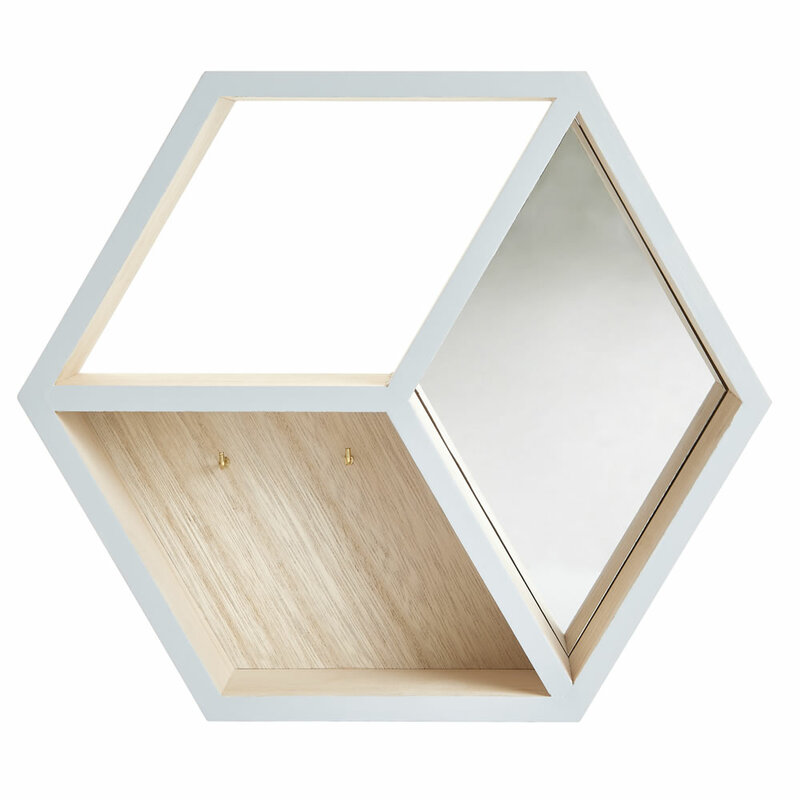 Style up your wall with our hexagonal wall hanger. It’s a great way to update your office or bedroom and features hooks, perfect for keys or jewellery. There’s also a mirror which is great for reflecting natural light. The geometric design works brilliantly with the muted tones and fun patterns in this trend. This grey cushion features geo prints in neutral cream and grey, making it ideal for any modern living space. Make it the perfect space to relax by pairing with our herringbone throw. Made from 100% cotton, this super-soft throw is machine washable and the pom pom edging adds a real fun factor. 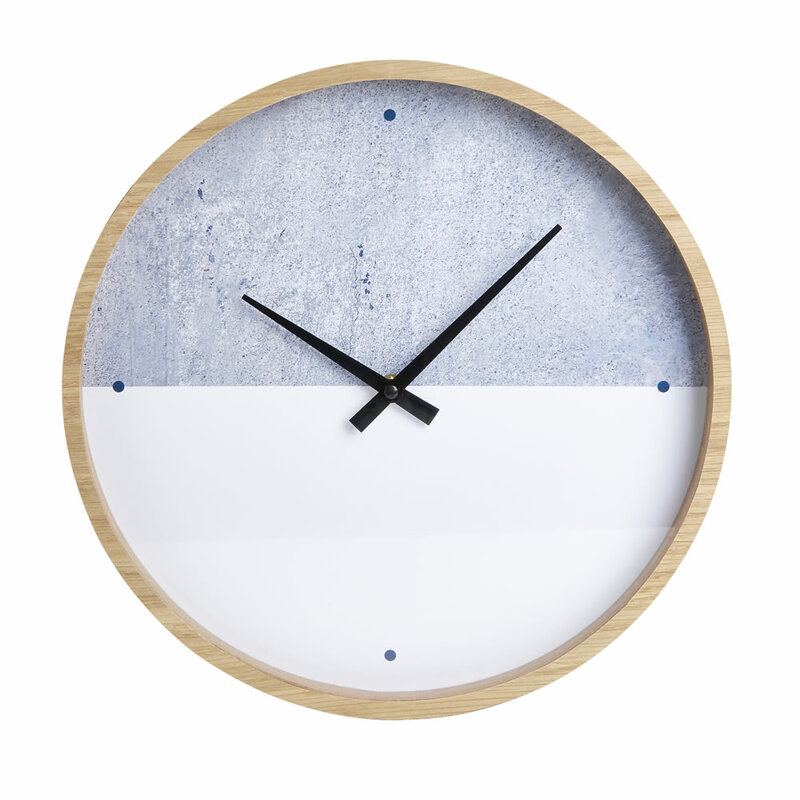 Bring modern, Nordic-inspired style to your home with our Scandi clock. This stylish clock features a wooden surround with minimalist design on the clock face. It’s a great way to style up a wall without having to redecorate a whole room. When the winter nights descend, create your own cosy living room and add instant style with our range of lighting. From pendants to string lights and table lamps, we’ve got a over 150 styles to choose from. For even more interior inspiration, shop all our autumn/winter home collections right here. What’s your favourite style tip to get you in the mood for autumn/winter? Let us know on Facebook, Twitter, Instagram or Pinterest.